My two friends were standing outside of our huge country home waiting for me to go hiking. One of them had a Pakistani Bull Terrier (Old English or the Hinks Bull Terrier) and a mutt, while the other had two Russian Spitz with him. They were waiting for me and my furry buddy, Scruffy, obviously named after that small dog from the 70s TV series - the Ghost and Mrs. Muir. He was a Spitz cross. Our little adventurous entourage (now consisting of 3 boys with our 5 dogs) had recently developed a liking for long distance hiking with our dogs. Today, being a weekend, was no exception. However, the clandestine plan was much bigger in nature. First we would hike 3 kms north to the southern bank of ferocious Kabul River that meandered by the northern boundary of our town. Then we would start hiking along the southern bank toward east and continue for 21 kms to the historic Attock Bridge made of steel during the British Raj. The hiking adventure turned out to be a real pleasure. We hiked on a dry storm water river bed north to reach southern banks of the river. We continued eastward under shady trees then out of town on narrow trails with pebble stones. We crossed meadows, plowed fields, continuing our hike along the Grand Trunk Road that connected Peshawar to the Garrison town of Rawalpindi, after passing through Nowshera. 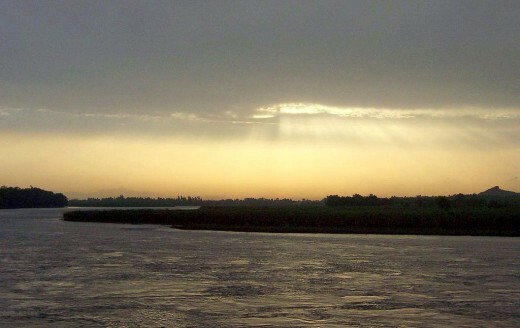 We hiked with our furry friends along the steep banks of Kabul River, till the river reached planes and opened up on a delta to the confluence of the faster, almost rapid like, muddy waters of Kabul River and the calmer and cleaner water of the Indus River that came from the northwest. We decided to spend long hours on the confluence. The time seemed to have stopped. That hike, undertaken during the formative years of my early teens, with Enid Blyton’s Famous Five series to read, probably went a long way into making what I am today. Still to this day, some 40 years later, I fervently recall the good old days when I was growing up in the Khyber Pukhtunkhwa Province (KPK), then Northwest Frontier Province (NWFP). It took the two great books coming out of the region and both written by young women to take me back to my sweet childhood memories. 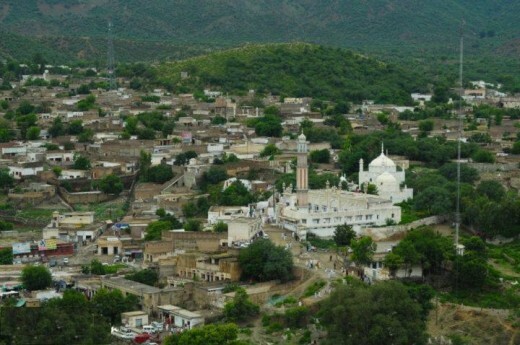 Nowshera is known for the shrine of Sufi (Mystic saint) Kaka Sahib. 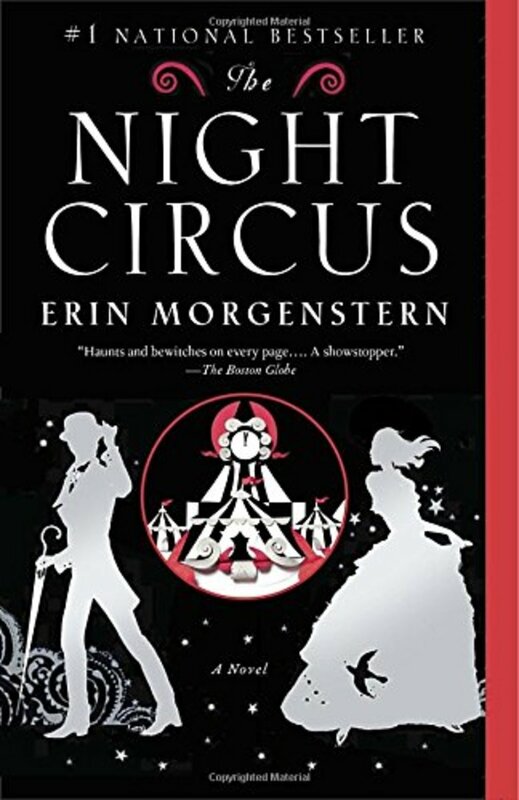 This is a beautifully written book that once I started reading, I couldn’t put it away until the end. It is so graphic in detail and on emotional content that I felt as if all the events were unfolding right before my eyes. I went into feelings of joy and agony and am saying without any qualms that I shed tears of joy and sorrow a number of times. Maria narrates her experiences with persecution of women in the tribal area of South Waziristan, street urchins, pedophiles (and this is astonishing that she shares that), Talibans, squash playing rival boys, elements of nature, etc. in such an exciting way that my heart kept pounding hard at what may come next and strike me off my feet. Maria’s account also details the horror of terrorism caused by Pakistani Talibans in the province of Khyber Pukhtunkhwa, as she and her family saw tragedy at a close range. I kept shuddering while reading the account as if a suicide bomber may just blow himself off next to me anytime. This book will also educate the readers on the deeply conservative, even primitive culture of Pakistan’s farthest tribal area of South Waziristan, the Wazir Tribe, the Talibans, and the popularity of the game of squash in Pakistan. One answer that the readers will be able to find in this book is why Taliban movement in Pakistan was able to find support in the tribal belt of Pakistan and the root cause may surprise them. Somehow, I kept comparing this book with the one that came out over two years ago, namely, ‘I am Malala’ by the Nobel Prize winner Malala Yusafzai. Malala, who grew up in a relatively developed Pushtoon region of Khyber Pukhtunkhwa Province, wanted all girls provided freedom to get education, and expressed views in her book that were representative of the anti-establishment Pushtoon nationalist party (ANP). By comparison, Maria’s views are representative of a proud Pushtoon of extremely conservative tribal Wazir tribe, who also loves her country and works for liberation of Pakistani women to excel in each and every field of life. When I was reading Malala’s book, I admired her enormous struggle through an ordeal that perhaps none of the readers went through and her subsequent great work, but I somewhat resented her showing reservation for love of her country and its icons. Compared to that, when I was reading Maria’s account of going through the hardships, I felt proud that she had immense love for her country, its people, and all those who helped her during various stages of her life. 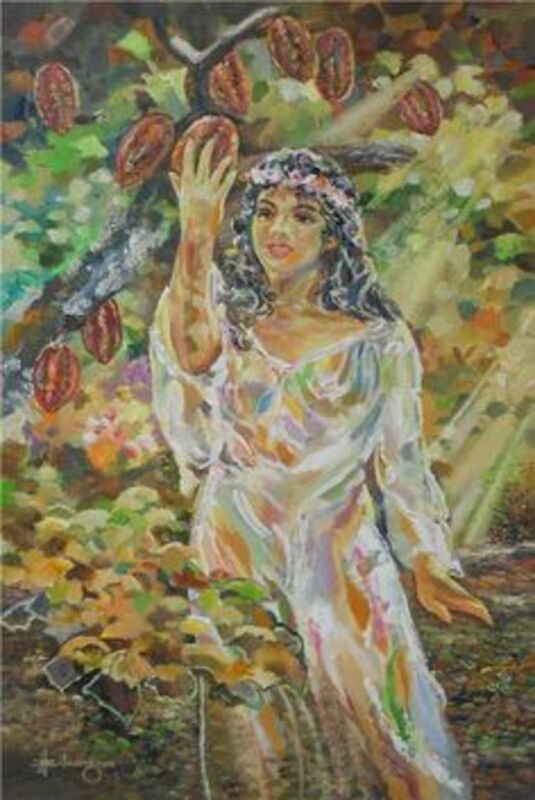 Compared to Malala, Maria can find it easier to make a positive impression on the heart and souls of Pakistanis and a broader squash playing community by remaining attached to her roots and therefore, she can be a better resource for uplifting the conditions of women and girls in that terrorism hit country. 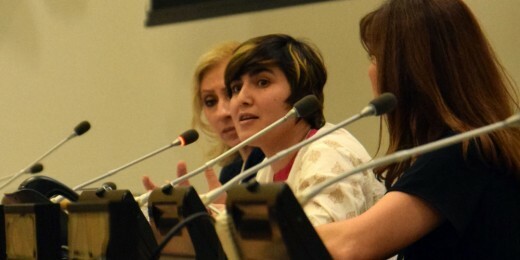 Maria Toorpakai speaks at UN Women's International Forum. 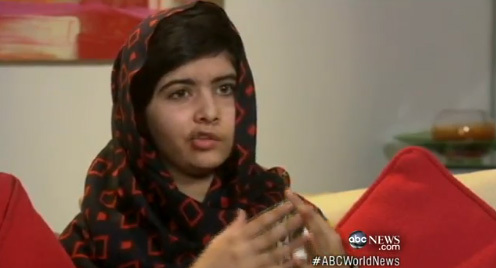 Malala was shot by the Taliban group terrorizing Pakistan to send a message against girl education. 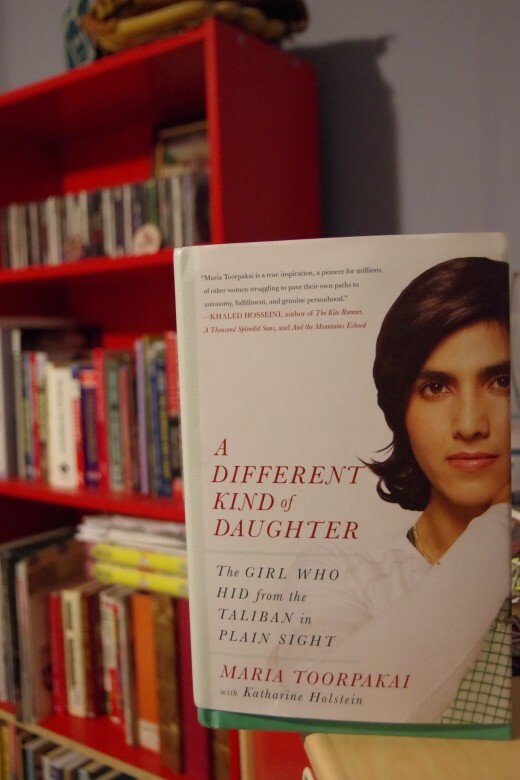 The two books mentioned above, one by the Nobel Prize winner Malala Yusafzai and the other, more recently, by professional Squash player and women Champion Maria Toorpakai, have made me take immense pride in the region where I grew up. In this article, I have attempted to answer why I love the region of Pakistan known as Khyber Pukhtunkhwa. The province is considered conservative and is definitely not a role model for how to treat women, but of late, two of its daughters have come up with two great books as mentioned above. Now, technically speaking, Maria Toorpakai comes from the adjoining Federally Administered Tribal Agency of Southern Waziristan, but then she spent major portion of her formative years in Peshawar, which is the capital of KPK. Also, Tribal Agencies are now being merged into the KPK province. Two major mountain ranges of Hindu Kush (Chitral and Swat) and lower Himalayas (Gallis, Kaghan Valley) have found their footings in the northern side of the Province. Tirich Mir is the highest mountain of the Hindukush range. This range dominates Chitral district in the extreme northwestern extremity of the province. However, in order to enjoy the more accessible parts of the range, tourists visit Swat district. 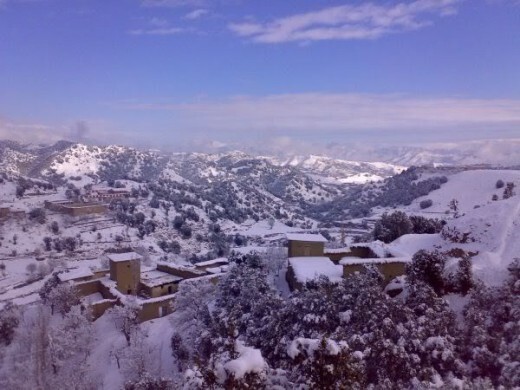 Malam Jabba is a major ski resort in Swat Valley. 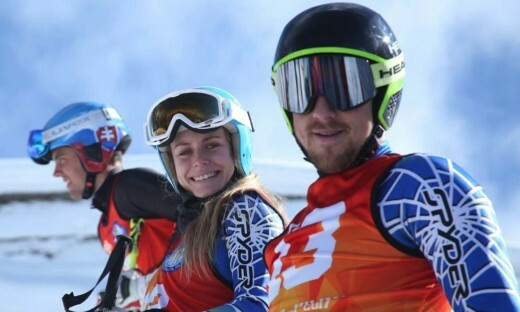 The International Ski Federation (FIS) has approved 16 international races for Pakistan, several to be held here, giving the sport a much-awaited boost. 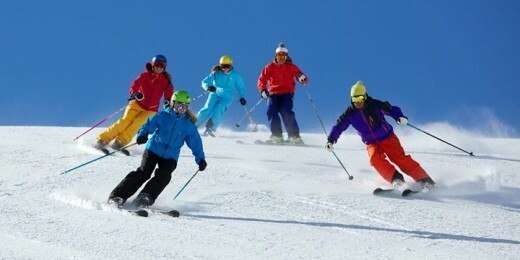 Foreign skiers at a skiing championship held on Malam Jabba's slopes were left stunned by the hill station's ethereal beauty, with some calling it "a skier’s paradise" and others honouring it as "one of the most beautiful slopes in the world". Himalayas dominate northeastern extremity of the province that adjoins northwestern Punjab and Azad Kashmir. 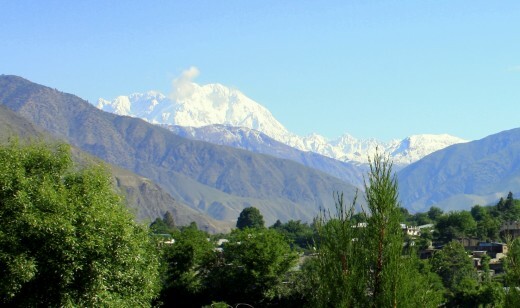 Mount Tirichmir in the Hindu Kush is the range's tallest mountain and is located in Chitral District. 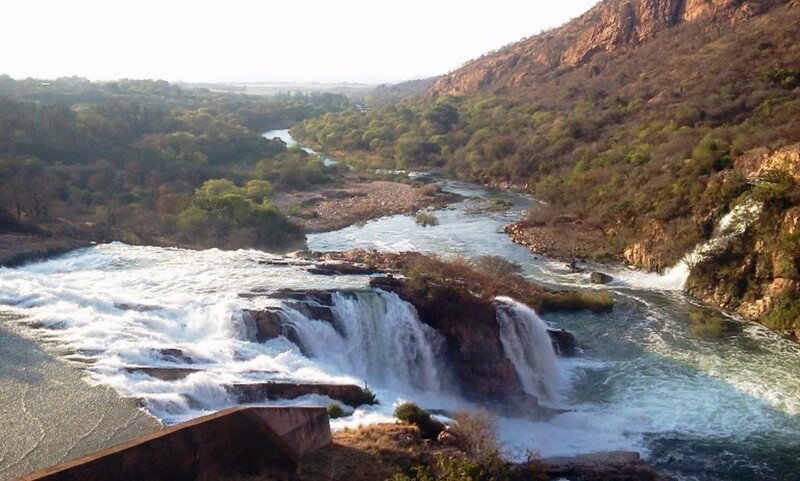 The province doesn't have a sea, but it is blessed with rapids, lakes, and three types of ecosystems: (1) Shrublands, woodlands and grasslands; (2) Sparse or barren vegetation, snow and ice; and (3) Cropland and natural vegetation mosaic. 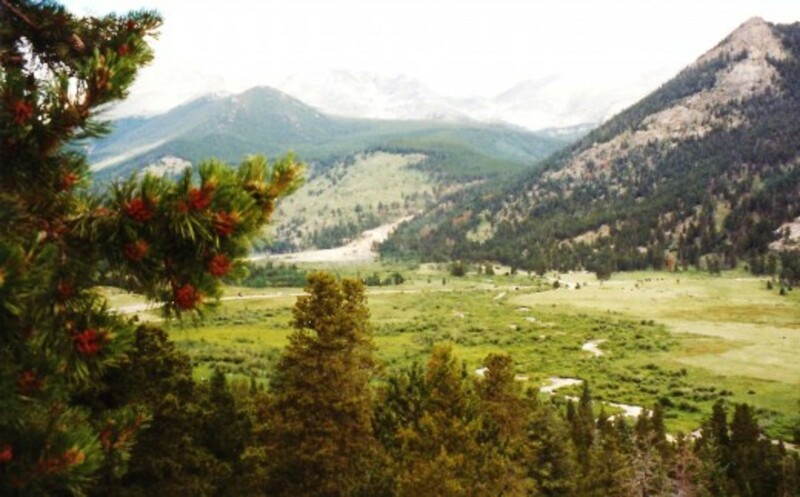 These ecosystems provide for 6 national parks. Three of them, Gol Nallah National Park in Chitral District, Ayub National Park in Abbottabad district, and Saiful Malook and Lulusar-Dodipat National Park, in Mansehra district are for the protection of snow leopards and Asiatic leopards. With luck, you may also be able to see western Tragopans, koklass, kaleej and cheer pheasants, black bear, yellow throated Marten, Kashmir hill fox, red flying squirrel, Himalayan palm civet, masked civet and Rhesus Macaque. Birds in the Province include golden eagle, Himalayan griffon vulture, honey buzzard, Peregrine falcon, kestrel, Indian sparrow hawk, hill pigeon, spotted dove and collared dove. 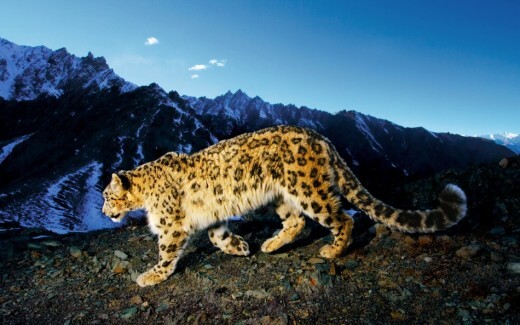 Snow leopards are found in the Hindukush range in Chitral District. 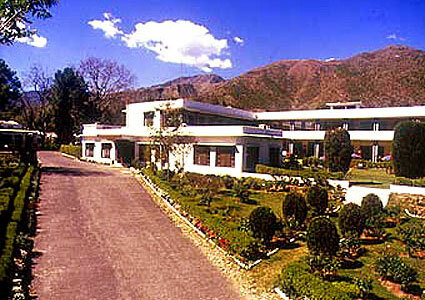 When we used to travel to Swat, the first place we used to make a stopover was Marghazar. 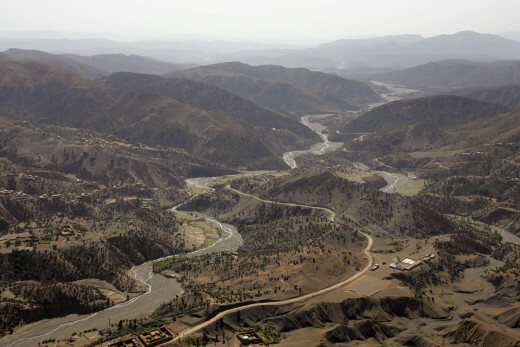 The journey from Nowshera was only 60 km, but it used to take ages due to narrow mountainous roads, asking for a well-deserved break before driving onward to higher valleys. Near this town, among other archaeological relics, you can still find a giant statue of fasting Buddha engraved on a rock of limestone. Marghazar, with a royal palace, also wears the same white color. 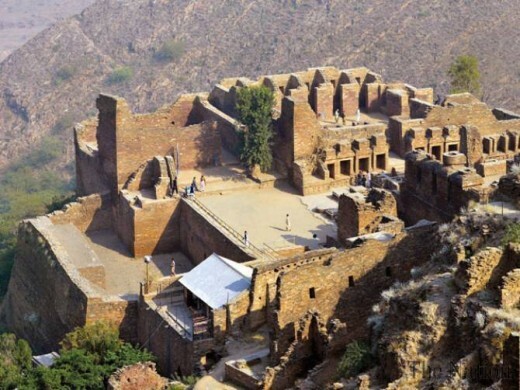 Buddhist civilization flourished in parts of both Afghanistan and Pakistan. Swat Valley still boasts of several sites, especially at its southern entrance near capital Saidu Shareef. All of the sites are still intact due mainly to the peaceful nature of swat's inhabitants. 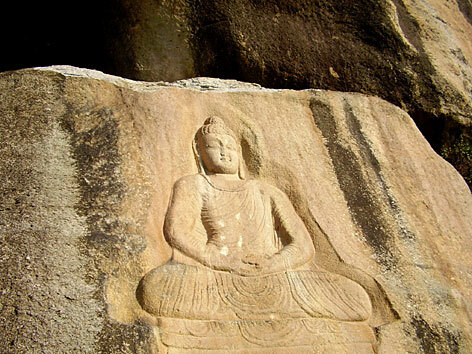 Engraving of Buddha that escaped the terrorism of Talibans. UNESCO's Heritage Site at Takht Bhai. The site has Buddhist remains of what was a monastery. I remember playing our secondary school cricket semi-finals at the beautiful lush green cricket grounds of the majestic Islamia College. The Province is full of historic buildings, forts, mosques, churches, passes, graveyards, bridges, etc. Fort Bala Hisar, Jamrud Fort, Mughal Bridge, Khyber Pass and St John's Church are all located in or near Peshawar and are worth visiting. 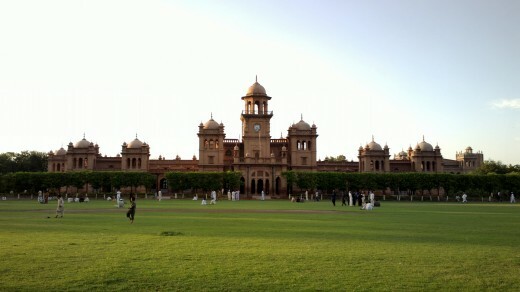 Islamia College Peshawar. PTI's government is establishing a University City. 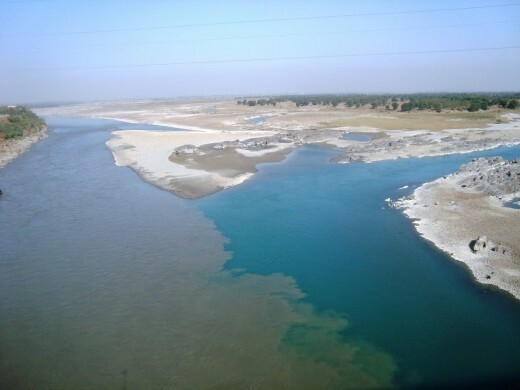 This is the Province of Pakistan where Central Asia meets, Middle East meets South Asia. 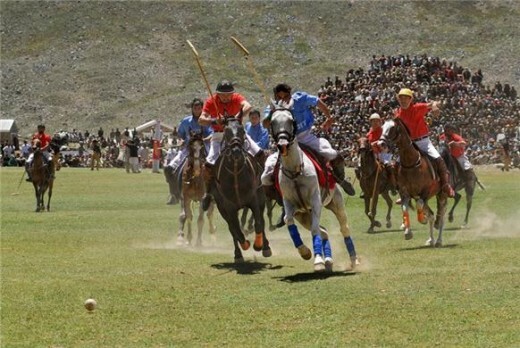 Shandur Polo Festival invites visitors to experience a traditional polo tournament which is held between Chitral and Gilgit teams every year since 1936. The tournament is held on Shandur Top, the highest polo ground in the world at 3,700 meters (the pass itself is at 3,800 meters). The festival also includes folk music, dancing and a camping village is temporarily set up for the occasion. The three-day Shandur polo festival is held at the world’s highest polo ground located at a height of 3,734 metres above sea level. 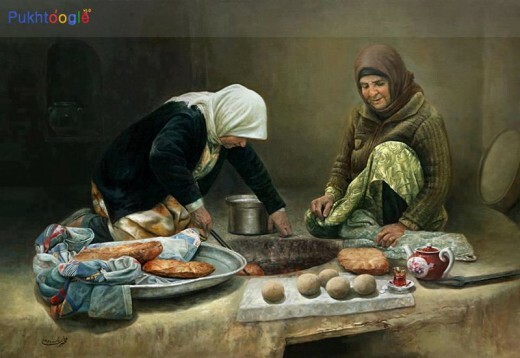 Pashtun Cuisines are strongly influenced by the rich cultural surroundings of the region. Traditionally, northwestern Pakistan is the region of the country, where the population loves to eat meat, especially lamb. 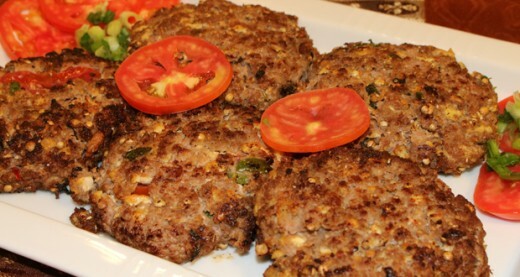 Famous items include tikkah (kabab), suji ka halwa (a sweet dish), Kahwa (tea served in a unique style), chapali kabab, Kabali pulao (rice with meat), special long naans, saag roti (bread) of jawar(maize). Of course, Maria Toorpakai can be considered a daughter of this province, who has won Pakistan Women's Squash titles and several international titles. Besides squash, province has contributed in cricket and field hockey. It is reported that most cricket is played in this province in the entire of Pakistan. 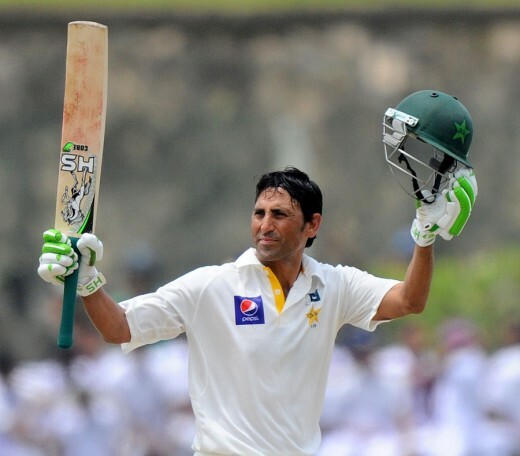 One of its sons, Cricketer Younis Khan, who has retired in May 2017, holds the Pakistani record of most test runs and test centuries. 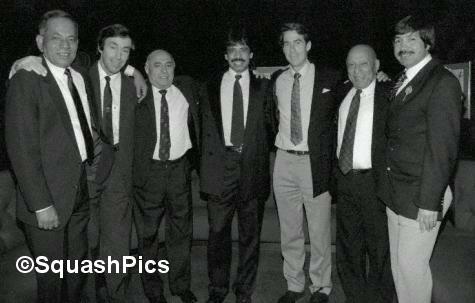 A classical picture showing British open Greats Jahangir Khan (10 times champion), Geoff Hunt (8), Hashim Khan (7), Jonah Barrington (6), Azam Khan (4), Roshan Khan and Qamar Zaman (1 each). Younis Khan after scoring a century! This is the only region in the world, at least in my humble opinion, where the people have elected 4 different political parties and have not voted them to power again if they didn't deliver. Compare this situation with the UK, USA and Canada, where there is a musical chair going on and where people are just not willing to vote for new faces. 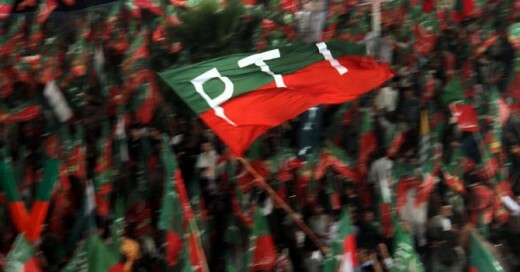 Pakistan Tehreek-e-Insaf, or PTI for short, is ruling the Province since 2013. The party has given space to women in the politics like no other. The recent developments include independence and depoliticizing of police, improvement in local administration system, delivery of justice, massive improvements in the health system, reconstruction of schools, and an SMS awareness campaign that gives free gynecological checkups and supporting medicines and financial assistance to pregnant women. 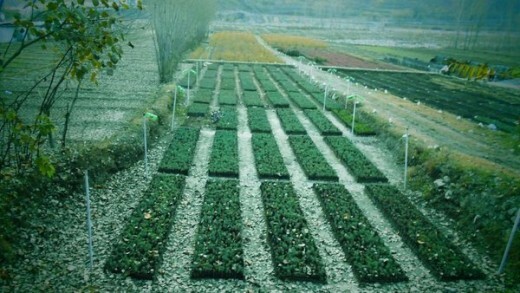 For improving the environment, KPK government has launched a massive 1 billion tree plantation drive across the province and is working on preserving our natural resources. KPK Government has initiated launch of 356 Micro-hydel projects all over KPK. It has passed a robust and independent Ethesab Bill to catch corruption, which will even keep its own ministers in check as a deterrent from doing corruption for the fear of being exposed by the public / media. Shaukat Khanum Cancer Hospital is in the development stage and it will be operational next year to help people of KPK and adjoining Tribal Areas. Where to go and stay? Record number of tourists have visited the province during the year 2015-16 as the security conditions have become much better. 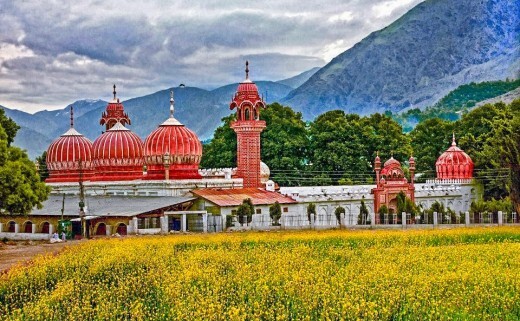 Swat Valley can be a treasure for its relics relating to Buddhism, Peshawar for its history, culinary experience, and being a gateway to the wild west of Pakistan (the tribal areas), Kaghan Valley for white water rafting, and the Galliyat region (e.g. Ayubia National Park) for observing wildlife. 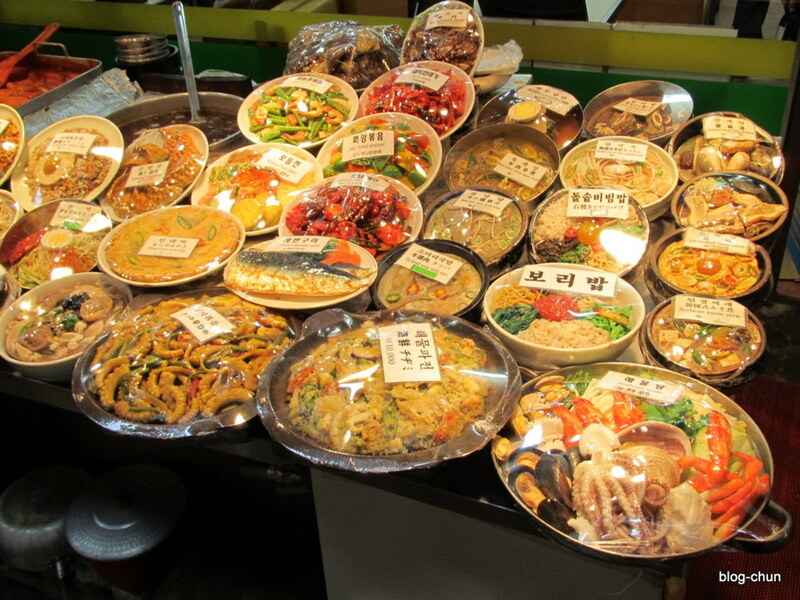 There are a number of reasonably priced hotels of good standards in all these areas. 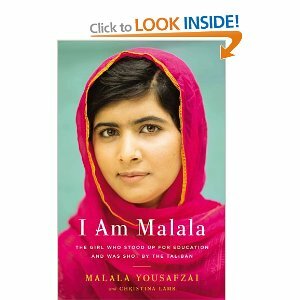 'I am Malala', the book review and what should you know about the region Talibans and she come from. Beautiful read once again. 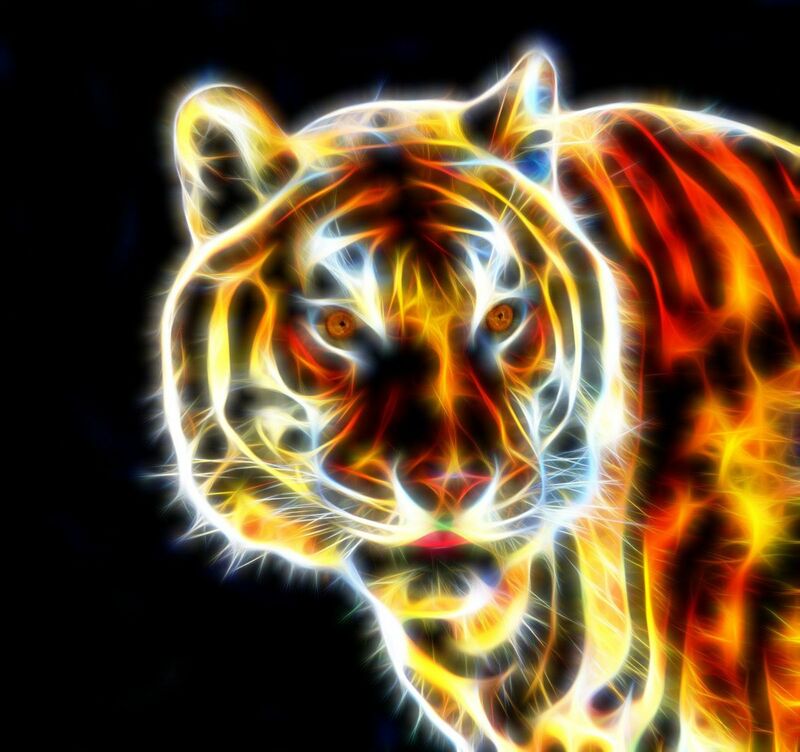 I keep looking forward to your blogs Suhail Zubaid. Thank you, FlourishAnyway for reading the hub and commenting on it! The state of women and girl is pathetic even to this day, but then girls like Malala Yusafzai and Maria Toorpakai are determined to change their fate. I hope more girls to rise up to the occasion and receive world's recognition to bring change in that province. I'm so glad you did this review. Your perspective made it a review unlike any others given your rich background. The region sounds so gorgeous and historic but wow, I really worry about the state of girls and women there. Thanks for this excellent review. Thank you for your unique kind of comments. Even I didn't notice that the two great books from that conservative region have been written by young women that will go a long way into introducing this region to people from foreign lands. A unique approach to your tribute of your region, inspired by books from these female authors. Just shows how much influence authors have on their readers. Thank you, Linda. That part is known for wars and violence, but is increasingly showing resolve for peace and progress. This is a great review, Suhail. It's interesting and very educational. Thank you for teaching me about Maria Toorpakai and the part of the world where you grew up. Thank you, Bill, as always. I really hope that people let go of their current code of conduct and adopt better practices. I can clearly see how both Malala and Maria overcame the resistance and opposition in their lives and are now able to bring changes to our people. Wonderful review and reflections. A harsh land makes tough people, and I appreciate seeing that land through your eyes. Thank you!